Mountain View, CA – It looks like Lil B wasn’t the only scheduled performer involved in an altercation at the Bay Area’s Rolling Loud Festival Saturday (October 21). 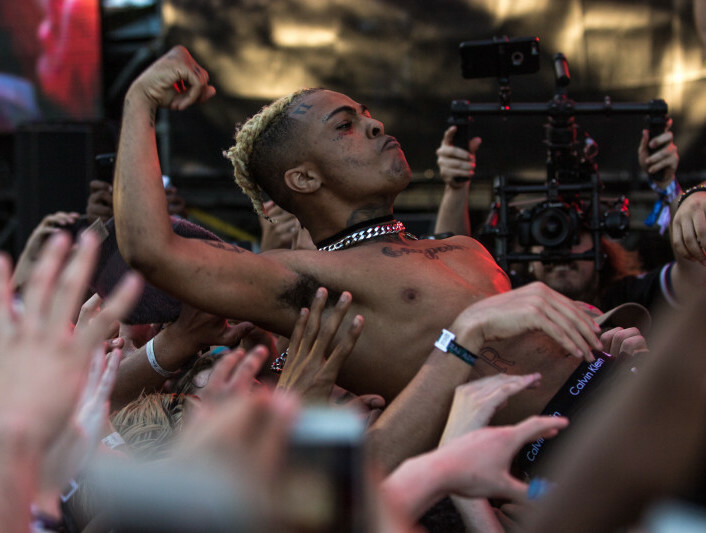 Polarizing rapper XXXTENTACION evidently got into a brawl with a member of the crowd after jumping into the sea of concertgoers during his performance. As footage of the incident started to circulate online, the Broward County rapper took to social media to clarify the situation and claimed it was self-defense. X has been involved in multiple fights over the past year. In June, he punched a fan in the face at a Denver, Colorado concert and that same month, he was on the receiving end of someone’s fist when he was knocked out on stage at a show in San Diego. Watch footage of the fight and X’s comments on the incident above.